Good things come to those who wait... 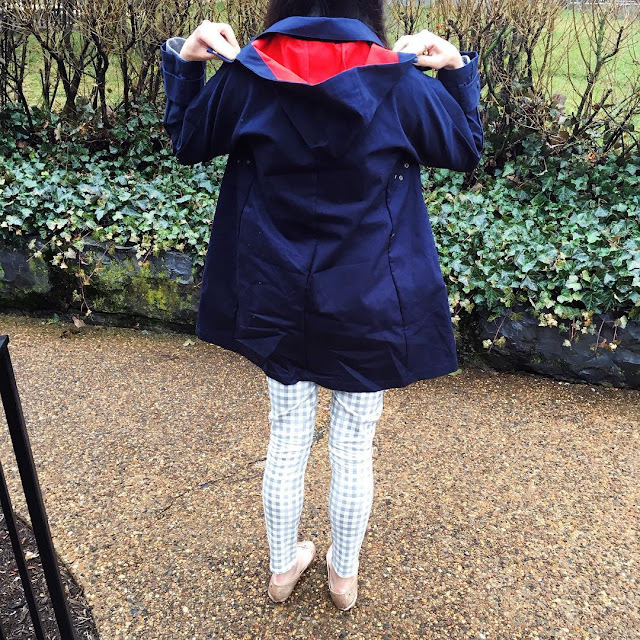 SO happy I was able to snag this adorable toggle coat by Kling on major sale at a local clothing boutique! ... and then it was March! Even with Leap Year, February literally flew by. With the exception of a little snow and some frigid temps sprinkled in, it's safe to say that winter never really showed up. Not that I'm complaining or anything. While I'm totally gung-ho for spring, I'm admittedly reluctant to leave cold weather behind just yet. I don't know about you, but I'd love to have a few more opportunities to wear my fair isle knits and style some fun layered looks. In the meantime, I've rounded up some of my favorite February #OOTDs for your sartorial pleasure (you can check out last month's roundup here). Leopard print is a neutral, right? Not the most scenic backdrop, but I LOVE wearing pretty pastel hues (like lilac!) during the winter for an instant pop of color. Sadly, I wasn't able to wear this super cozy topper nearly as often as I would've liked. Am I College Prepster yet? I loved how Carly styled her fair isle sweater from J.Crew so much that I copied it verbatim. Literally. I layered an old ruffled shirt from J.Crew underneath my sweater for a polished, daytime casual look. A sneak peek at an upcoming rainy day outfit that added instant cheer to my day. Stay tuned! What's your go-to winter uniform? Let me know in the comments below! I am loving your coats! Thanks! I hope that I can wear them a few more times before spring!